All ratified contracts should be sent to ADMIN@PRUITT-TITLE.COM. The new contract is logged into our internal system and a Processor is assigned. The Processor is the main point of contact until closing. Our entire staff is always available should you need to ask a legal question or need help after hours. Within two business days, the Processor will send an email the Listing Agent, Seller, Selling Agent and Buyers. It’s a “What To Expect”. If anything additional is needed (Lender info, Buyer’s email, etc. ), the Processor will address that as well. The title abstract is ordered. Once the title abstract comes back, the file goes to the title underwriter and the commitment to insure is prepared and returned to the Processor. If there are any title issues that may potentially delay settlement, all parties are alerted. The Processor requests the HOA statement, if applicable, the deed and payoffs are ordered. We are very careful to time the ordering of the HOA and payoffs because there are usually fees associated with each request. When possible, we time it so that all possible payments are posted prior to requesting the payoff. Title, preliminary CD and other items needed per the Lender’s Title Request are sent to the Lender. Approximately 1-2 weeks prior to the closing date, our scheduling department will contact the agents to coordinate closing. Approximately 3-4 days prior to closing, the Lender and our Processor begin to balance the CD, which means they work together to make sure the CD the Lender prepares and send the the Buyer is accurate and matches everything we have in our system. Once the CD is finalized, we send it to the Selling Agent. Approximately12-24 hours prior to closing, the Lender sends the closing documents to the title company. One final email goes out to the agents before closing. This email will contain the final closing numbers and confirmation of the closing date, time and location. Please note, Pruitt does not accept cashier’s checks. Many lenders tell Buyers that title companies accept cashier’s checks, but we do not. A wire is required. Wiring instructions are sent out at the very beginning of the process. Closing occurs. Remember, we can close anywhere at anytime. Our main offices are in Tyson’s Corner and Rockville, MD. We have satellite offices all over the DMV. Once the closing is complete, the file is transferred to our post closing department. Post Closing handles recording the deed and deed of trust in the land records, disbursing all monies and finalizing all the paperwork. The Post Closer sends a copy of the fully signed ALTA to the agents within 24 hours of settlement and the complete closing package to the buyers with 7 business days. The original deed, deed of trust and final title policies are sent within 90 days of settlement. 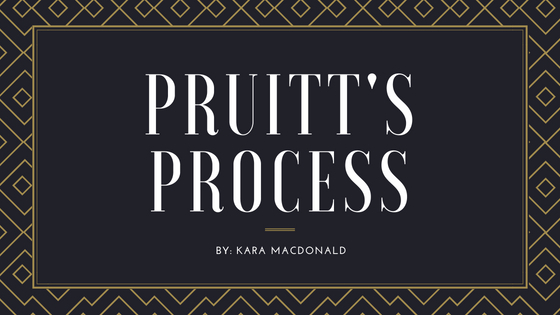 Kara Macdonald is the Vice President of Pruitt Title, LLC, a woman owned, independent title insurance company licensed in Maryland, Virginia and the District of Columbia. She has over twenty years of experience in processing, closing and marketing in the real estate and title insurance industry. She can be reached by email at kmacdonald@pruitt-title.com and on her cellphone: 571-432-9382.